One Man Left Studios » SFT Summer Sale! 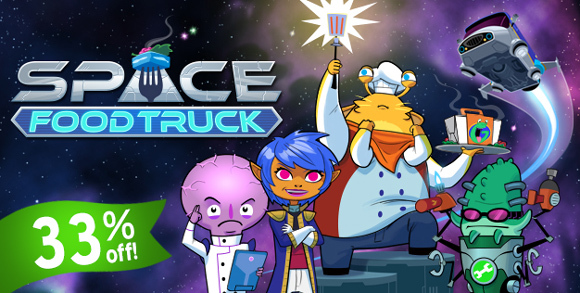 Space Food Truck is 33% off for the Humble Store Summer Sale, now through September 16th at 10am Pacific. That goes for single copies of the game, and the already-discounted four pack! We’ve just recently added asynchronous support to the game, so this is fantastic time to find a crew online and whip up something spacious. And don’t forget to check out our quick tutorial series to learn the ins and outs of Space Food Truckery.